TUCSON, Ariz. - GoFundMe released the company's list of the most generous cities in America Thursday and the Old Pueblo secured a spot in the top 10. The Year in Giving report reveals the most generous cities and states, top fundraisers, trends and the most inspirational movements that took place on GoFundMe in 2018. "Tucson earned its place on GoFundMe’s list as this year more than ever, people turned to GoFundMe to take action and support causes they care about. 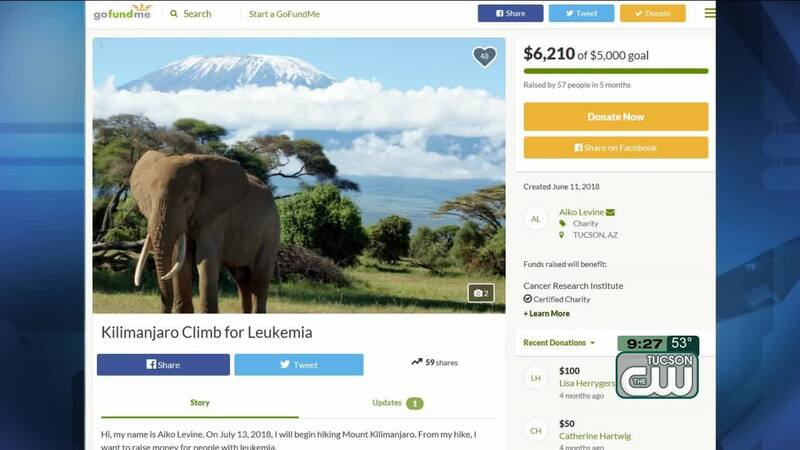 The social fundraising platform also included fastest growing categories such as “Family” and highlighted the diversity of fundraisers from 2018," GoFundMe said in a press release.